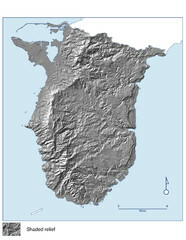 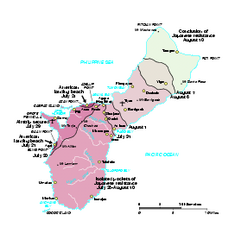 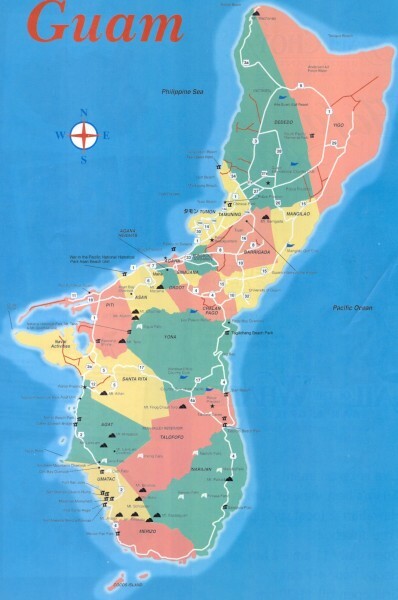 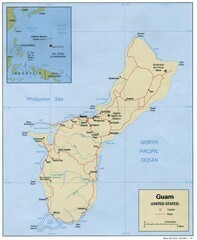 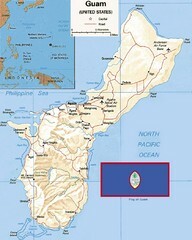 Tourist map of Guam. 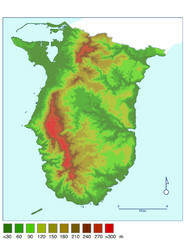 Shows mountains, waterfalls, golf courses and other attractions. 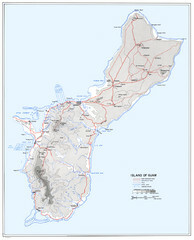 Map documenting the progress of forces across Guam during WWII.